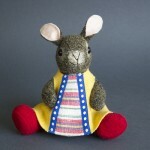 A colorful collection of handmade animals in dyed wool. Each one has it´s own special look and is made in just one piece. They are made for adult collectors. Not washable or childsafe. New designs are added all the time so keep on coming back to watch the site! Send an order by email. I will reserve the item and send an invoice on the price of the item+shipping which can be payed by bank in Sweden, otherwise by Paypal. When payment is received the item will be shipped. If the item is not to satisfaction it must be returened by the cost of the buyer within two weeks. Pug made of light beige wool with ears and details i black. Wears a soft blue melange jacket with hood, black metal buttons. Shoes in black. Jointed head and legs, armature in arms so they can move. Terrier in offwhite wool withspot and ears in golden brown. 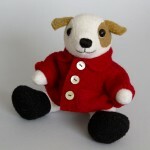 She wears a bright red jacket with collar and butonns in mother of pearl. Black shoes. Jointed head and legs, armature in movable arms. 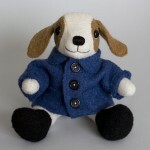 Beagle made of offwjite wool with spots and ears in middle brown. 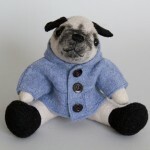 Wears a wooly jacket with collar in bright blue with black buttons. shoes in black. Jointed head and leg, armature in arms so they can move. Dachshound made of brown melange wool with dark brown ears. Needle-pointed details in face. 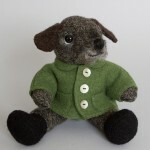 Wears a jacket with collar in bright green, shell buttons. Black shoes. Jointed head and legs, armature in movable arms. Labrador made of light beige wool, painted features in face. 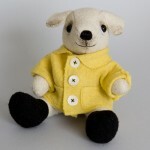 Wears a bright yellow jacket with collar and buttons of mother of pearl. Shoes in black. Jointed head and legs, armature in movable arms. 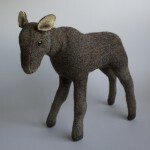 Moose calf made of brown/black melanged wool with painted features on head and legs for a realistic look. Scelleton made of wire so the head and legs can pose. 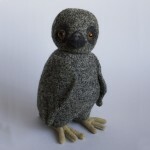 Owl made of black/beige wool with feets in beige wool. Painted features in face for a realistic look. Wings and tail in back. Jointed head and armature in feets so they can be posed. 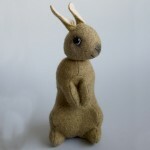 Rabbit in sitting position made of light brown melange wool. Soft pink wool inside ears. Jointed head and armature in legs so they can move. Painted features in face. Little tail in back. 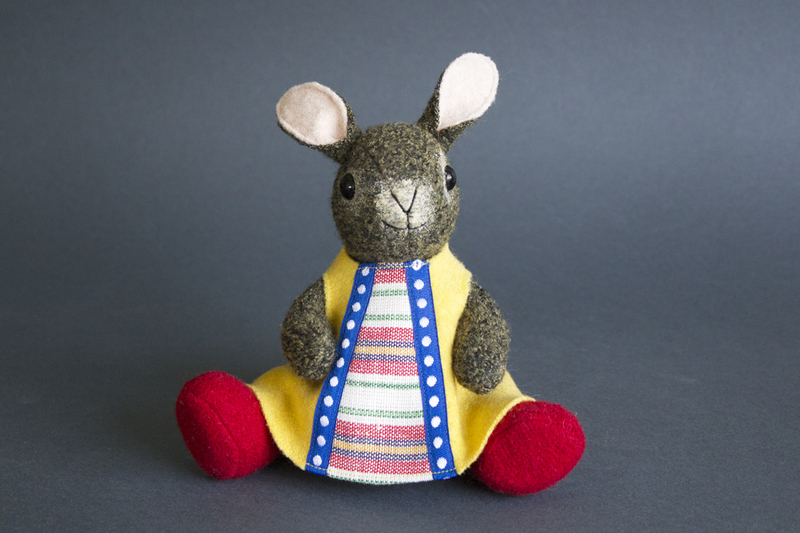 Rabbit girl made of brown melange wool with painted features in her face. Dressed in a bright yellow A-line dress with an insertion in front in cotton. Buttons in back, shoes in red wool. Wire inside arms, leaded head and legs. Can stand up. 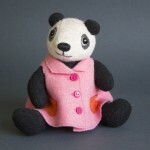 Pandagirl made of black and offwhite wool. Painted features in face. 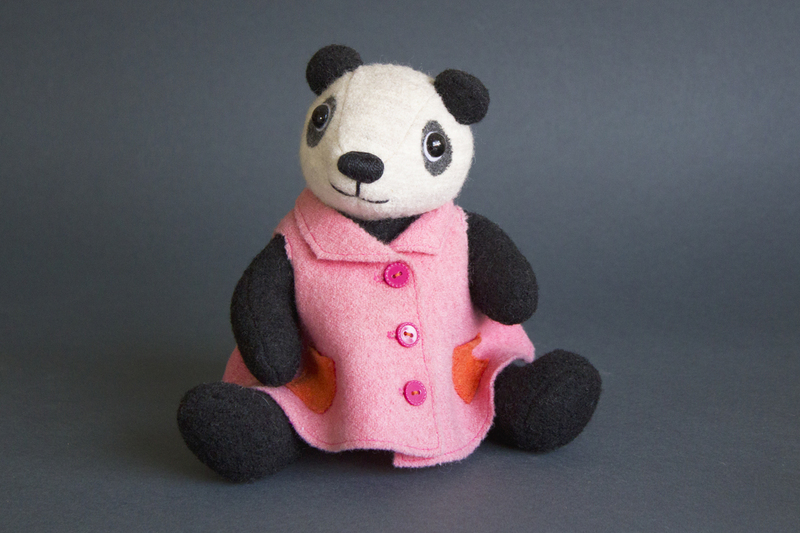 Dressed in a pink A-line dress with orange pockets. Wire inside arms so they can move, leaded head and legs.